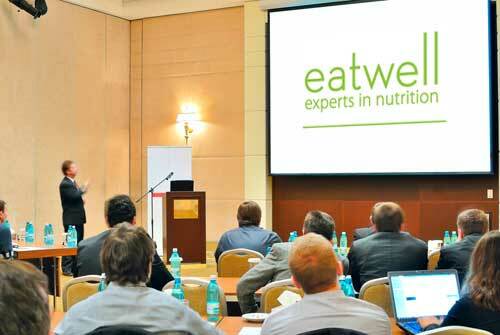 We specialise in delivering engaging and informative nutrition sessions to your workplace, school or group. We talk to adults, children and teenagers about all areas of nutrition and work with big companies, small businesses, government bodies, schools and community groups. We have a list of our most popular sessions below, but we can also tailor-make any topic that you need. We have a team of qualified dietitians who are all interesting and enjoyable speakers to help bring nutrition to life for you and your group. Our talks are usually one hour long, are highly informative and thoroughly enjoyable. Some of our most popular sessions are listed below. We also run half and one day courses on nutrition for people who want to know a little more. How to manage and lower a high cholesterol, this talk looks at what you can do to lower cholesterol – which foods to reduce as well as which foods to add into your diet. It also looks at eating for a healthy heart and foods that can help with high blood pressure to keep your heart working at its best. Tired of coughs, colds and flu’s? This presentation takes a look at the foods, supplements and herbs that can help keep colds at bay and help you get though the winter sniffle-free. Take a look at some of the lifestyle changes that can make all the difference to your immunity and look at some of the key foods to include – and what to avoid! Did you know that almost 80% of your immunity starts with your gut? Learn how to keep your own bacteria healthy and working for you as well as what to eat to keep you healthier all year ’round. Do you suffer from bloating and IBS? Find you react to certain foods? Suffer from Migraine? Then you may already be cutting out certain foods to help find a cure. This presentation looks at the whole topic of food intolerances. We look at the most common intolerances, including dairy and wheat, how to spot intolerances as well as the best tests to choose when you want to get some definite results. We also look at the many myths around food intolerances; the unreliable tests that are out there and how many of the conditions often associated with food intolerance can actually have other causes. We take a look at some of the conditions most commonly associated with food allergies and give tips on how other dietary changes might help. The first 1000 days refers to the first 3 years of a baby’s life – from conception to the age of two. This time is now recognised as crucial for a child’s development and in deciding the diseases they may or may not develop as adults. Learn about the key nutrients needed before conception (for potential mums and dads), what to eat during pregnancy and the key foods to focus on in the toddler years. An introduction to weaning is included as well as the opportunity to ask questions about issues specific to you. Starting from weaning through to early teens, this talk looks at the best ways to get your kids into healthy eating habits. Learn about the key nutrients Irish children are missing out on and benefit from practical tips and ideas on dealing with fussy eaters. The talk also focuses on how helping children to have a healthy weight. There are few of us who haven’t had a tummy upset at some stage, but for some of us digestive problems can go on and on. This presentation looks at many of the common digestive problems from heartburn and reflux to bloating and cramps. Learn what foods to eat and what foods to avoid, what supplements can help and how to manage your eating habits to get a sluggish digestion back to work. Rediscover how well and energetic you can feel when your digestion is working as it should. What you eat can have a huge impact on performance in all sports. Running has become one of the most popular sports in Ireland and everyone is looking for that extra edge. This presentation takes a look at the foods, supplements and fluids that can maximise your performance, boost recovery after training and even help you to run faster for that next event. We also take a look at the world of sports supplements and help to sift the fact from the hype. Stress can affect anyone and can leave us feeling tired and run down. Good eating habits can fall by the wayside and we can find ourselves feeling tired and lacking in energy. Stress can also lead to weight gain as we look to unhealthy snacks for an energy boost. Learn how to manage stress by looking at what you eat. Learn how to avoid common problems linked to stress such as indigestion and how to keep weight healthy during stressful times. Find out what supplements can help and when and how to use them. Help to boost energy levels and keep your immune system in good shape. As we become more aware of the role of nutrition in health, we are learning more about how food not just affects us physically, but how it can affect our mood. Manage Your Mood with Food looks at ways of using food to help keep us feeling our best. Get tips on how to eat to manage stress, look at some of the latest results on research into food and problems like depression and learn how to boost your focus and concentration with the right foods. A basic overview of what the body needs is given with sections dealing with specific issues related to managing stress and mood. These courses are for people who want to learn a little more about nutrition for themselves or for their families. 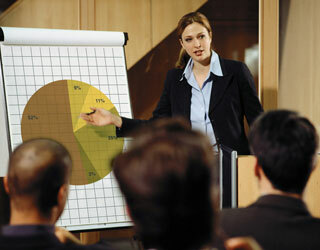 We also run courses for health professionals. Please click here for more information on health professional courses. Weaning and feeding babies can be a minefield with so much conflicting advice and so many different opinions! We take you through all you need to know to help your baby go from their first taste to eating everything. When to start, what are the best first foods, how do I move to family meals and what to add and avoid in the first few months. We then look at how to prevent and manage fussy eating – what to do to avoid it and the steps you can take if your baby is already kicking up a fuss. With expert advice from renowned Paediatirc Dietitian (and mother of three) Ruth Charles and fussy eating expert dietitian (and mother of two) Sarah Keogh. This course is for parents, carers and anyone interested in learning more about weaning and managing fussy eating. Talks on nutrition are ever-popular in the workplace but we can add life to your workplace wellness with a range of services from one-to-one sessions for staff to group weight management programmes. Below is a list of our services. Contact us to have a Wellness Programme tailor-made for your workplace. Why not read some of our feedback?